The wild landscape of Algonquin Park is quite famous amongst backpackers. But you don’t need a multiday journey to appreciate the sights and sounds that the park has to offer. There are several day trails that range from 1 hour hikes to 5 hour rigours adventures that provide breathtaking views and a piece of park history. It is easy to see how the members of the group of seven got inspired by the rugged beauty of this backcountry wilderness. 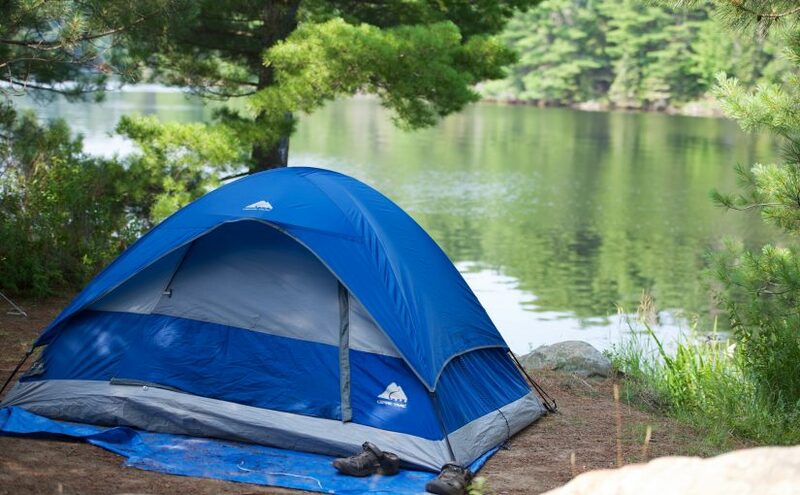 Visit Algonquin Park and let the wilderness inspire you. 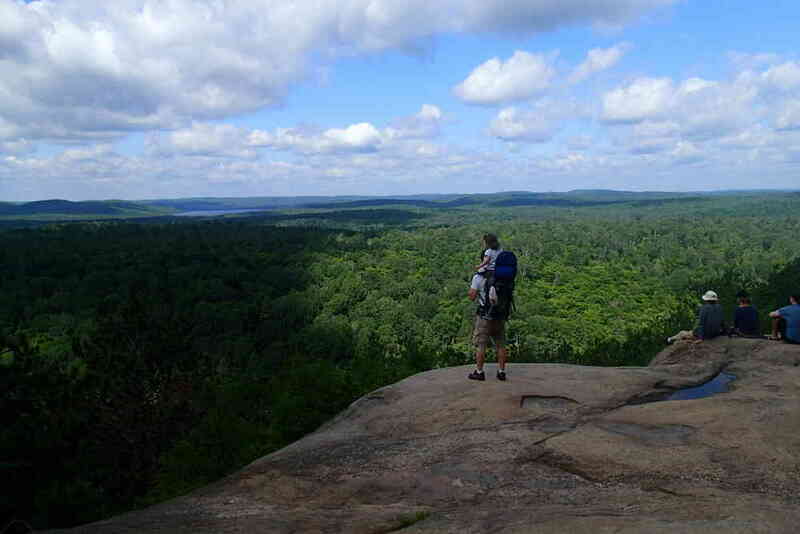 The Lookout trail is less than 2km of hiking through mixed forest and along rocky Cliffside. The official route description provided by the park rates this hike as moderate with strenuous hiking. I found this route relatively easy, but those without experience might find it more challenging. There is some step elevation in several places. A good pair of sturdy hiking shoes with traction and grip is a must, especially in wet conditions. The trail starts off fairly flat on a gravel/dirt path. Word of warning; beware of mosquitos and a plethora of other blood hungry insects. Visitors get swarmed the minute they set foot on the path trail. After a brief walk the trail begins to climb in elevations. There is also a small creek that runs along the path (the mosquito baby maker as I call it). The closer you get to the lookout point the stepper the inclines are with added rock on the dirt path. Keep all small children close at this point as the ground gets slipper and unstable in some places. After about 15 – 20 minutes of hiking you reach the lookout. This is a truly stunning view, a panoramic masterpiece of the back country splendor that is Algonquin Park. During the summer months the lookout is a refreshing break with a nice breeze to help cool down from the humid heat of the trail. Once autumn hits the scene, typically at the end of September this trail is packed with tourists to celebrate the changing of the fall colours. I recommend going on a weekday for to capture the true sense of wilderness. The lookout point runs along the rocky Cliffside for less than a 10 minute hike then it turns back into the forest taking you back to the parking lot in a loop. The parking space is conveniently located on the same side as the trail head. This is much more convenient then trails that are located across from the parking lot, making the need to cross highway 60. I would highly recommend this trail for people who are on a time crunch and want to make the most of their hours spent at Algonquin Park. This trail provides the maximum reward with the least amount of time spent. This is a fun trail to hike any time of the season. It is 3.5 km long and takes you through mixed forest, hemlock shrubs, and swamp areas. The highlands of this hike over look Jack Lake. The view from up top is beyond beautiful. Untouched forests and lakes brimming with fish can be seen as far as the horizon takes you. The trail starts on the north side of Highway 60 at the 27km point from the west gate. The trail takes you over a combination of rock and dirt. I found this trail moderately challenging. 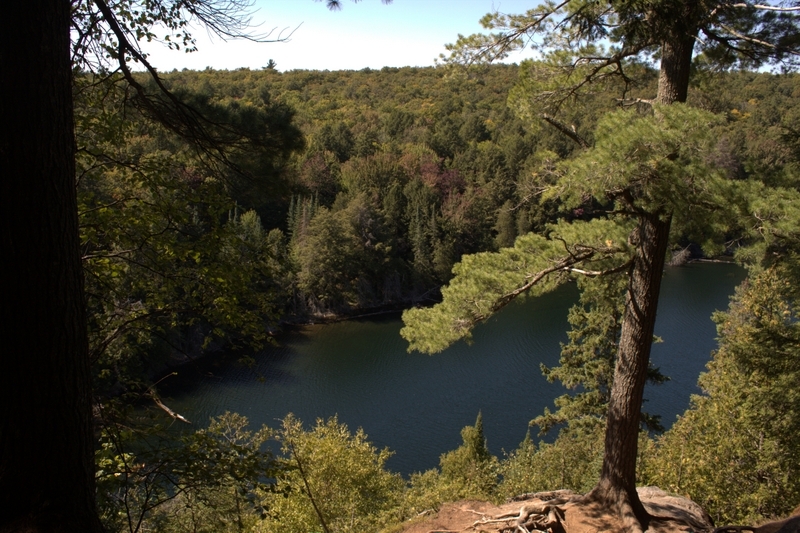 The first part of the trail takes you to the look out over Jack Lake and the endless wild foliage of Algonquin wilderness. The path than leads you down to the swampy areas of the lake. This is a prime area to view moose. For wild life enthusiasts mornings and evenings are the best times to capture wildlife sightings. Moose are most commonly sighted from May to August. This part of the trail has lots of tall grass and the path becomes a wooden boardwalk. As the path climbs back toward the beginning it turns into dirt and rock. In some parts of the trail wooden wreckage from fallen trees is scattered along the path. Always be conscious on paths and keep your eyes open. This is a great trail that gives you a taste of the backcountry solitude without the need for ample amount of gear and time. Pack accordingly to the weather. Weather in this part of Ontario is notorious for changing quickly and jumping from hot to cold. Dressing in Layers is essential. Some trails are labeled as historical interactive. These trails are highly recommended as they serve to tell the historical elements of how Algonquin Park came to be featuring information about the logging industry and remains of old railway lines. Some trails being Booth’s Rock and Algonquin Logging Museum + Trail to name a few. 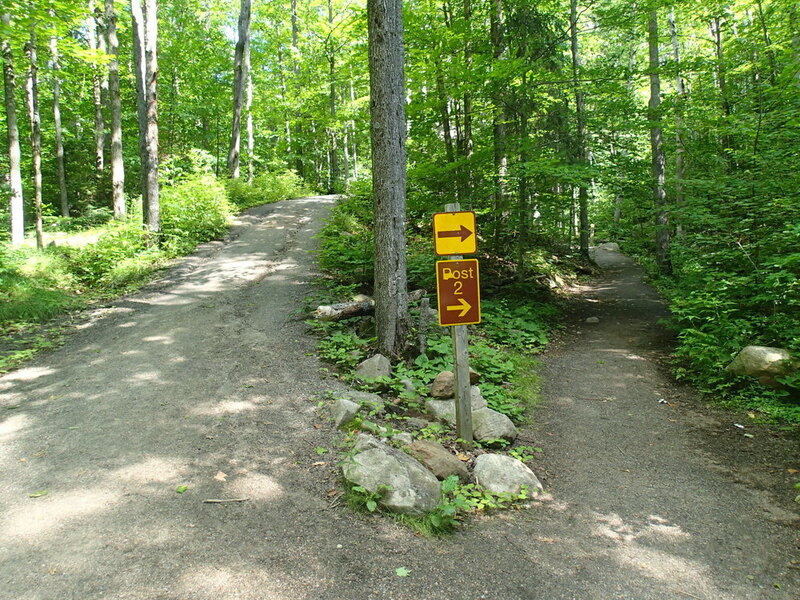 The day trails at Algonquin Park are all clearly marked, clean and a pleasure to hike. There is no need for extra gear and there is plenty of cell service on the trails (though in some areas the signal can be weak or cut out). This is a great alternative to backing in the backcountry especially for beginner hikers or individuals passing through the area who are short on time. The foliage of Algonquin Park is quite mesmerizing from glorious forest of pine trees to the exposed granite rock of the Canadian Shield. A vast amount of lakes streams and rivers are scattered amongst the 7,600 square kilometers of park land. Pick trail, grab your camera and hit the great outdoors!